You didn’t come to the backcountry to SLEEP, right? So while your days are laced with alpine lakes and mountain meadows, nighttime is always the right time in our new Night Owl tent. The Night Owl is the ultimate backcountry wingman. 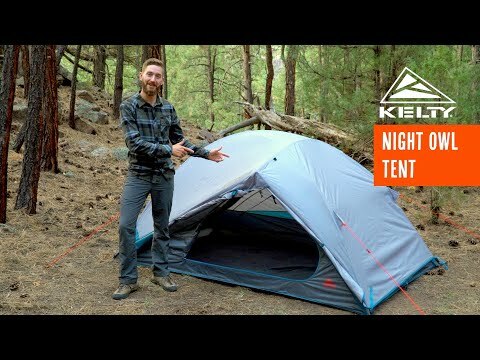 With Kelty Quick Corners, it’s engineered for fast, easy setups, even in late-night, not-thoroughly-sober situations. A spacious interior means there’s always room for a friend, and our Stargazing Fly™ provides 100 billion reasons to stay up just a bit longer. Packed Dimensions: 17" x 7" x 7"